Slater's pocket map of the city of Brisbane, 1865. The Queensland Acclimatisation Society gardens are shown at York's Hollow, Bowen Park. City and environs of Brisbane, 1865. Atlas of the colony of Queensland, Office of the Surveyor General, Government Printing Office, Brisbane 1865. The Queensland Acclimatisation Society obtained a large grant of land at York’s Hollow to the north of Fortitude Valley. The size of this land, which is clearly marked with a light green boundary on the 1865 map of the city of Brisbane, reflects the importance given to the concept of ‘acclimatisation’ in Queensland. Harvard University Museum of Comparative Zoology, 2009. 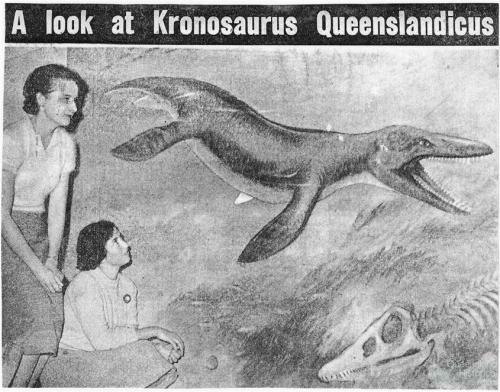 Website masthead featuring Kronosaurus queenslandicus. 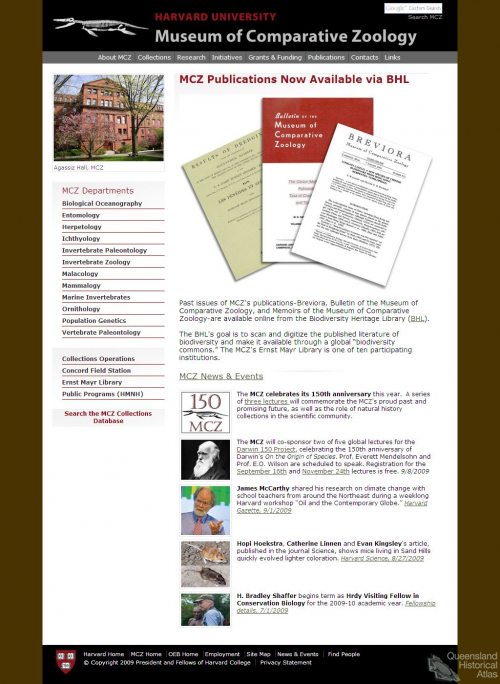 The central importance of this specimen for the museum is indicated by its appearance in 2009 in side view in white on black on the masthead of its website. Thomas J. Maslen, engraved by Charles Joseph Hullmandel, Sketch of the coasts of Australia and the supposed Entrance of the Great River, amended copy of map included in Maslen’s book The Friend of Australia, 1827. This map shows an imagined ‘Great River’ ending in a large delta in the centre of the continent. 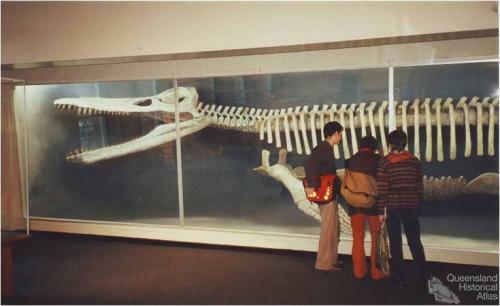 Subsequent exploration refuted this hypothesis, but this area was the site of the extensive Eromanga Sea in the Cretaceous Period, 110-100 million years ago, home to many creatures, including Kronosaurus.